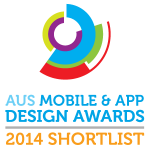 We’re proud to announce that Views On Top has been short-listed for the AUS Mobile & App Design Awards 2014! And more good news… a new, improved Views On Top is almost ready to launch! The new version links to a faster hosting platform and we’re closing down the old one. So when v1.1 launches (hopefully in just a week or two), you’ll receive a message asking you to download the app from the AppStore again. When you do, just log in and any places you’ve added to Places You’ve Been or Places You Want to Go will still be there. With many thanks to our Viewsers (that’s you!) we’ve added over 100 places with great views since Views On Top launched in May. Now with over 700 destinations in around 400 locations across 85 countries, please keep making recommendations for great places with views to add and help us achieve our goal of having all the best ‘up-high’ places for views around the world. If you’ve forgotten how to use Views On Top, just visit this ‘how-to‘ page. And if you’d like to be inspired with recommendations for places to visit and see what places have been recently added to View On Top, please follow us on Instagram, Facebook and/or Twitter. by encouraging your friends and family to download Views On Top, rating us on the iTunes AppStore and following us on social media – it all makes a difference, thanks!